As artists, we strive to incorporate both functionality, beauty and charm into each unique creation. Our simple, yet diverse designs make our pottery, tiles and jewelry perfect for gift-giving or adding a warm touch to your own home. 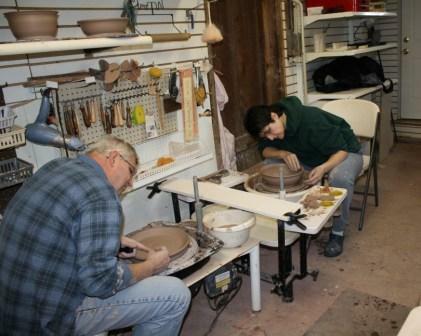 As part of our committed service to our customers, we provide a certificate of authenticity with all of our art pottery. If you purchased some of our art pottery, or received some without an accompanying certificate, we would be most happy to provide you with one. Just contact us and we will mail one to you at our expense.